This year our primary school threw a Monster Ball where all the children were encouraged to make their own costumes. LV wanted to be the Grim Reaper. 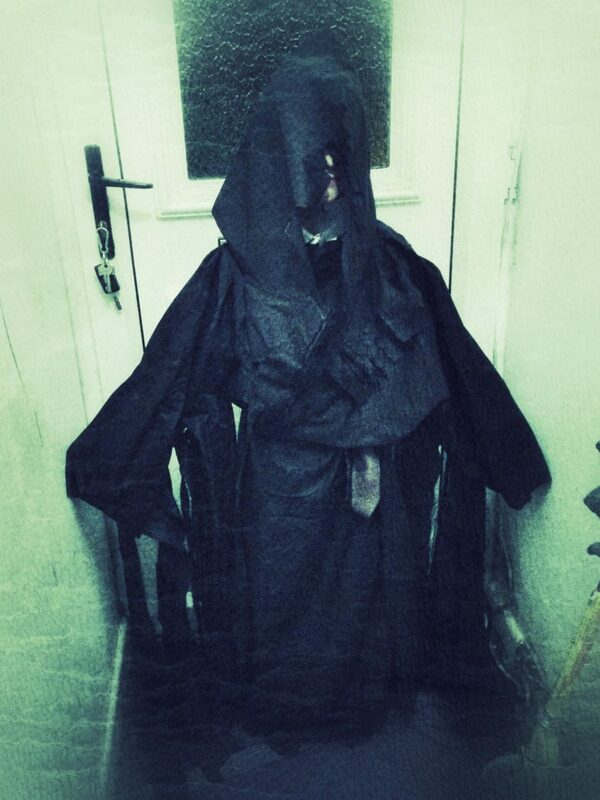 I thought I would share with you the simple Grim Reaper costume we managed to make in a step by step tutorial. Eek, I think death has come a knocking!